Miele C1 vs. C2 vs. C3 vs. Cx1 Canister Vacuum Comparison Miele is one of the highest grade vacuum manufacturers on the market. Miele vacuums are German engineered to last, and are tested to last 20 years of usage. Most of Miele’s line is bagged and uses hygienically sealed bags to contain dust and dirt. Miele canister vacuum cleaners are among the best quality available, and they have a large variety of models to fit your needs. 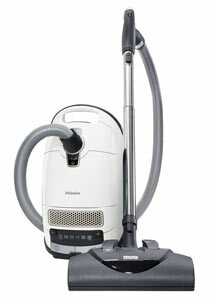 The C1, C2, C3 are the bagged series, while the CX1 is the new bagless series of canister vacuums. Miele Canister Vacuums have received outstanding consumer and professional reviews, and are our top canisters. Miele canisters are quieter than competitor vacuums, and have variable suction control (a feature missing on most other canisters). Miele vacuums are great for those with allergies as most of the miele line filters the air with a sealed system. The pet (cat & dog) models are great for pet hair and the bagged models have activated charcoal filters to contain pet odors. The main differences between the C1, C2, and C3 is size. All are bagged canisters. The C1 are compact size, the C2 can be compact or full size, and the C3 are full size canisters. The C2 and C3 have fully sealed canisters, preventing more dust and particles from escaping the vacuum. These are ideal for allergy sufferers. The CX1 is unique in that it is a full size canister, and bagless. Within each group the main difference is the accessories that come with the vacuum. Those with a motorized brush roll have electric hoses (wiring in the hose to power the floor tool). Motorized brush rolls are ideal for deep carpet cleaning, and pet hair removal. The C2 and C3 have a power cord that is 3 feet longer than the C1, and have a rubber bumper strip to protect furniture. The C2 and C3 have more sound insulation and are Quieter than the C1. Miele Cat & Dog C1, C3, CX1 Vacuums for Pet Hair: The Miele Cat & Dog vacuums are great for pet hair on hardwood floors, hard floors, soft carpeting, or deeper carpeting. All of these models have the excellent SEB228 motorized brush roll which is ideal for deep carpet cleaning and pet hair removal. They all come with 3 tools to tackle pet hair. All the “Cat and Dog” models include the SEB 228 motorized floor tool, and also include the handheld turbo pet hair tool for smaller areas like upholstery, stairs, and car interiors, and a Parquet soft hard floor brush. Another unique feature only seen in Cat & Dog models and not seen in any competitor vacuum is an activated charcoal filter that absorbs pet odors (bagged canisters only). The differences between the models are as follows, the Cat & Dog C3 and CX1 are full size canisters. The CX1 is bagless. The C1 is a compact canister vacuum, and lower priced. The included SEB228 Motorized Floor Tool, is recommended by Soft Carpet manufacturers on difficult to vacuum Soft/Plush and high pile carpets. Miele Complete C3 Series Canister Vacuums (top of the line): The Miele C3 canister is the best of the Miele bagged canister series. These premium canister vacuums have longer power cords, sound insulation, and a premium AirClean sealed system captures over 99.9% of all lung damaging particles. All C3 Canisters are Full Size. The Cat & Dog, Marin, Kona, Brilliant, and Soft Carpet models come with a motorized brushroll, which is perfect for deep carpet cleaning, and removing pet hair. The C3 has a nicer fit and finish, larger dust bags, wrap around furniture bumpers, and accessories store inside the canister. These are Miele’s premium canister vacuums. Miele Complete C3 Models: Cat & Dog, Calimia, Marin, Kona, Brilliant, Alize, Soft Carpet. Miele Blizzard CX1 Series (Bagless) Canister Vacuums: The new Miele Blizzard series introduces bagless technology to the Miele line of canister vacuums. They use Vortex Mono Cyclone Technology, to spin the dirt into the dust bin. Fine dust is captured in the Gore® Clean Stream® fine dust filter, so when you empty the canister, you don’t get a plume of fine dust in the air. All CX1 Blizzard Canisters are Full Size and come with an AirClean Lifetime HEPA Filter. The Cat & Dog and Electro models have a Motorized Brush Roll which is ideal for deep carpet cleaning, soft/plush carpet cleaning, and removing pet hair. Miele Blizzard CX1 Bagless Canister Models: Cat & Dog, Turbo Team, Electro. 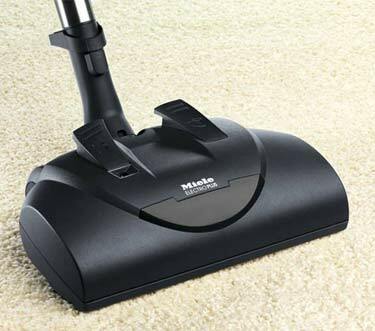 Miele C2 Series (Bagless) Canister Vacuums: There are only a few choices in the C2 category, but the C2 Electro+ is one of our favorites, as its the cheapest model with the SEB228 powered floor tool, that is excellent on all carpets, including plush and soft carpeting. Great for lifting pet hair from carpets. Only the Electro Plus, in the C2 series has a motorized brush roll. Miele C2 Canister Models: Electro+, Hard Floor. Miele C1 Compact Canister Vacuums: The C1 series is Miele’s cheapest series of canister vacuums. These models are compact in size and lightweight. They still have many of the features of the higher end models. What they don’t have is the fully sealed system of the C2 and C3 series, and the power cord is slightly shorter. The Cat & Dog is the only C1 model with a motorized brushroll, ideal for deep cleaning carpets and pet hair. Miele C1 Canister Models: Cat & Dog, Turbo Team, Pure Suction. Miele 12-stage AirClean Sealed™ System = The Miele C2 & C3 Complete Canister series uses a totally sealed 12 stage filtration system with HEPA Filter to clean the air you breathe. It is Miele’s best filtration system. Captures 99.9% of particles. These are Miele’s best Canister Vacs. Ideal for those with allergies. Engineered to be Quieter = Miele vacuums are engineered to be quieter in operation. In addition you can power down the vacuum to be even quieter. The bagged Canisters have 6 power settings, allowing you to lower the noise level even more, and to vacuum delicate rugs, or use the hose to vacuum drapes. The bagless CX1 series has 4 power settings. Miele Durability and Longevity = Miele vacuums are constructed from high quality materials, and have been German Engineered to last 20 years. Miele testing simulates 20 years of in home use. One Miele vacuum will outlast many cheaper vacuums, with superior vacuuming. Miele’s New CX1 Blizzard Bagless Canisters = Miele for 2018-2019 has introduced its first bagless canister vacuums. They are called the Blizzard CX1 series. They have all the great features of the regular Miele bagged vacuums, but require no bags, and have an easy to empty dust bin. The models available are the Blizzard CX1 Turbo Team Canister, the Blizzard CX1 Cat & Dog Pet Canister Vacuum, and the Blizzard CX1 Electro+ Canister. All of the CX1 canisters come with Lifetime HEPA filters. Gore® Clean Stream® Fine Dust Filter = This filter is only available in the Blizzard CX1 bagless models. Unlike most bagless vacuums, which can create a huge plume of dust particles when emptying the bin, the Miele Gore Clean Stream Filter will get rid of most of the fine dust in the bin. This is a unique feature, and Miele Blizzard bagless canisters have substantially less dust emissions into the air when emptying the dust bin. Electric Hose = Some Miele Canister vacuums have an electric hose that has electrical power available for electric powered floor tools with motor driven brushes, suitable for deeper pile carpets. If you have plush carpets, a canister with an electric hose and powered brushroll is the one to do the job. Silence Motor Feature = The Miele C2 and C3 Series Canisters feature a 1,200-watt Miele-Made Vortex Motor™ with Silence motor feature to keep your vacuuming quieter than most other canister vacuums. Miele uses a specially insulated motor to achieve this sound reduction. British Allergy Foundation Seal of Approval = The Miele C2, C3, and CX1 canister vacuums have received the British Allergy Foundation seal of approval. Testing includes Cat Allergen, Dog Allergen, Fungi, House Dust Mite, and Pollen.